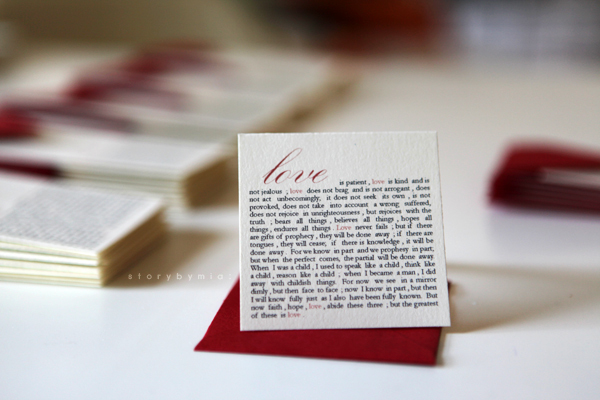 'love is..' mini cards in my paper shop. Love is patient , love is kind and is not jealous ; love does not brag and is not arrogant , does not act unbecomingly; it does not seek its own , is not provoked, does not take into account a wrong suffered, does not rejoice in unrighteousness , but rejoices with the truth ; bears all things , believes all things , hopes all things , endures all things . Love never fails ; but if there are gifts of prophecy , they will be done away ; if there are tongues , they will cease; if there is knowledge , it will be done away . For we know in part and we prophesy in part; but when the perfect comes, the partial will be done away. 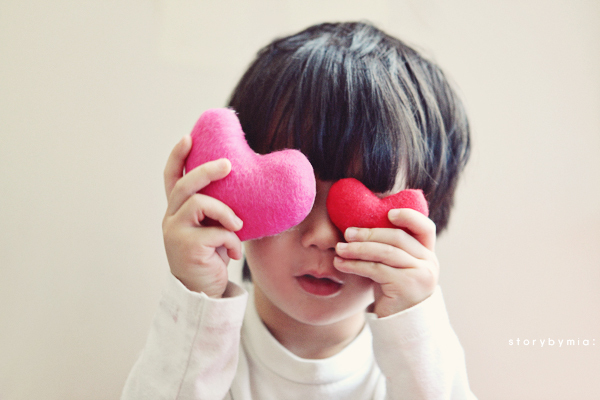 When I was a child , I used to speak like a child , think like a child , reason like a child ; when I became a man , I did away with childish things. For now we see in a mirror dimly , but then face to face ; now I know in part , but then I will know fully just as I also have been fully known. But now faith , hope , love , abide these three ; but the greatest of these is love .